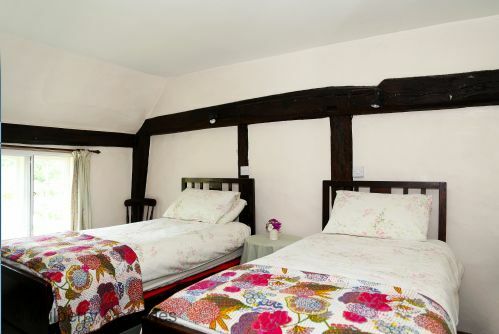 Mistletoe Cottage is a charming Grade II listed Tudor period cottage forming part of an ancient manor house on the edge of the parkland for Chilham Castle. 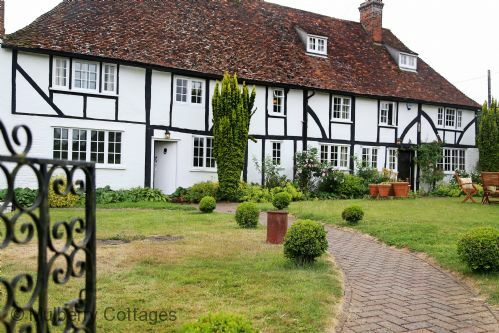 In an idyllic rural setting, it is a short walk from the village pubs, such as the White Horse Chilham and the centre of this stunning Kent village often used in film sets! 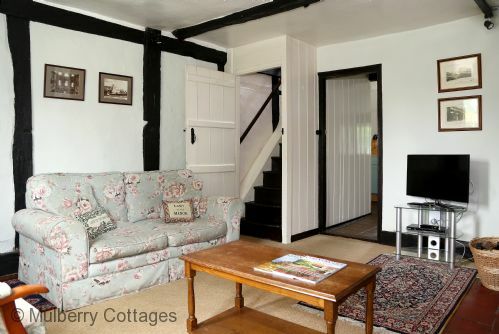 This period holiday cottage near to Canterbury has a cosy beamed interior and a lovely peaceful private garden to relax and enjoy. 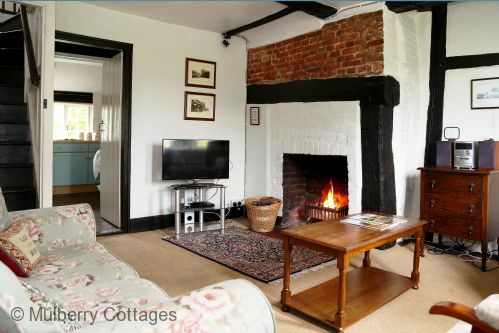 This cottage with a fireplace has a lovely warm and inviting atmosphere, perfect for a romantic retreat or a holiday for 2. 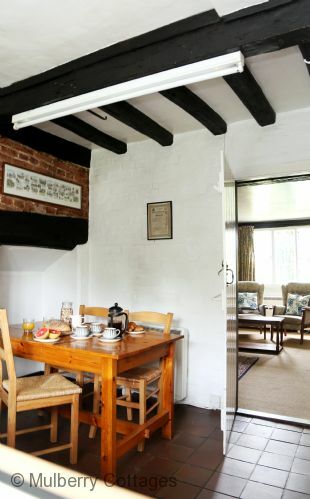 For larger parties, why not book with Heron Manor? 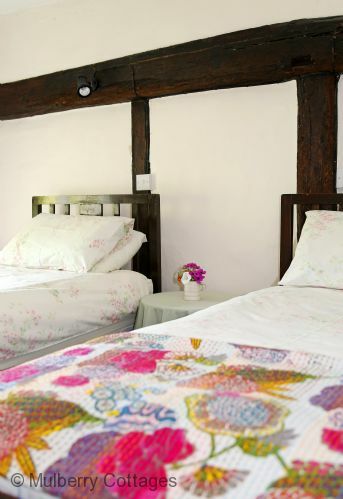 Click here for details Heron Manor and Mistletoe Cottage - sleeping 5+3. 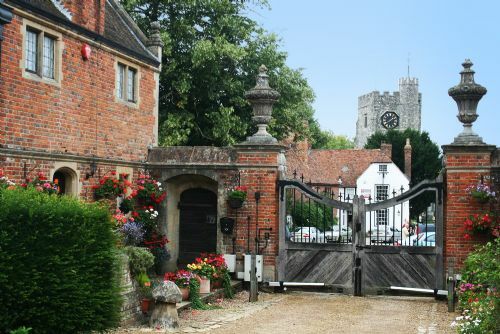 Chilham is a delightful medieval village with lots going on. 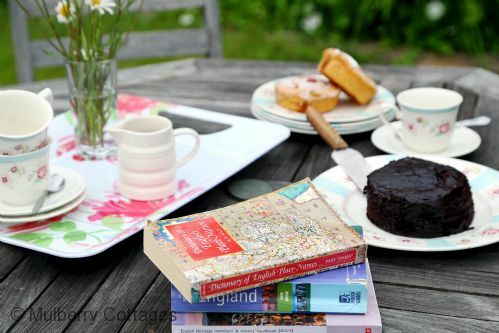 There's a tea room, post office and gift shop not forgetting The White Horse with it's delicious menu and warm welcome. The train at nearby Ashford will take you to London in 37 minutes. Chapel Down Vineyard is well worth a visit if time allows. Thank you for making our stay so pleasant and making us feel very welcome! Thanks for popping in to put the heaters on, so it was lovely and warm when we came home. We'll be back in September. 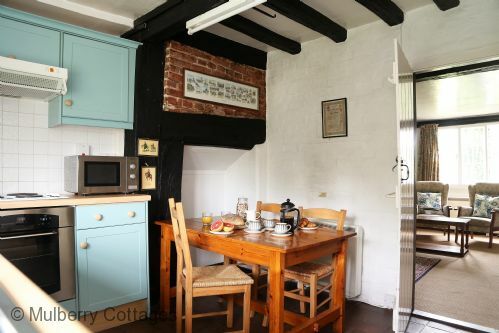 So pleased to have discovered this cottage-we hope you will let us come back as we didn't get much time to enjoy it as much as we would have liked. The garden is beautiful and Emily really liked hiding in the secret orchard. 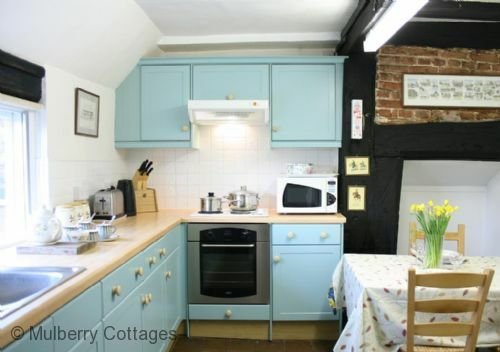 A very cure and gorgeous cottage. We did have a few spiders but apart from that everything was great. The beds were good as well. 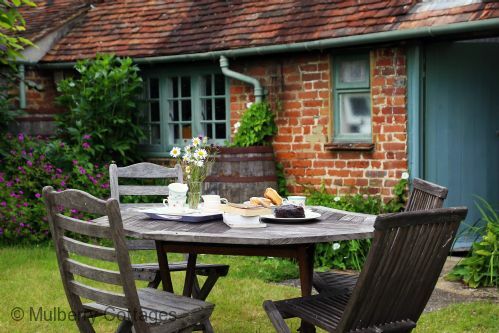 The cottage is in a great location and we loved waking up to that picturesque view every morning. Thank you for the great stay. 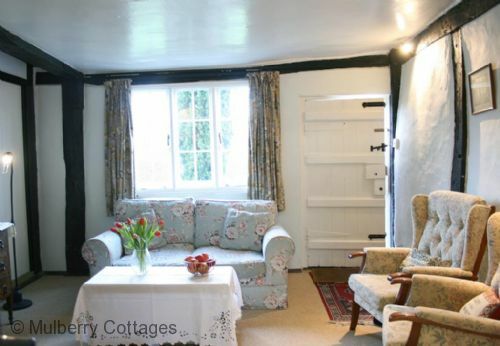 We have enjoyed our short stay in the cottage and hope to return in the near future. We have had reasonable weather for November and there is everything here that you could need. Lovely walks and very good transport links by bus and train. Thank you for everything. 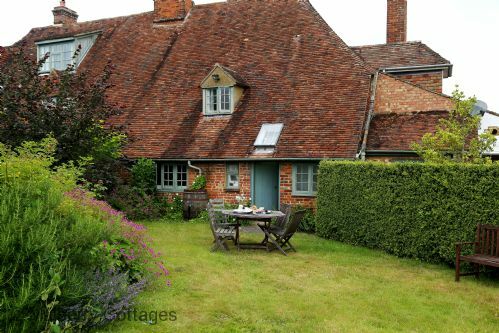 Wonderful cottage - just like stepping into one of the old reconstructed cottages at the Weald and Downland Museum at Singleton. 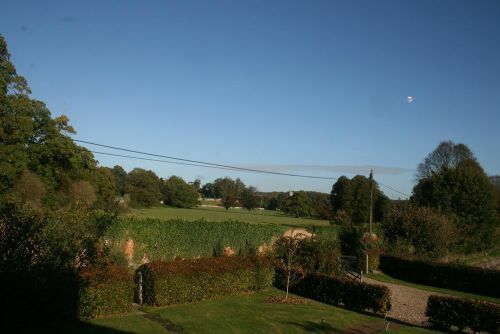 Beautiful countryside with lovely Autumnal colours and the sun shone every day! So relaxing and peaceful. Thank you so much. 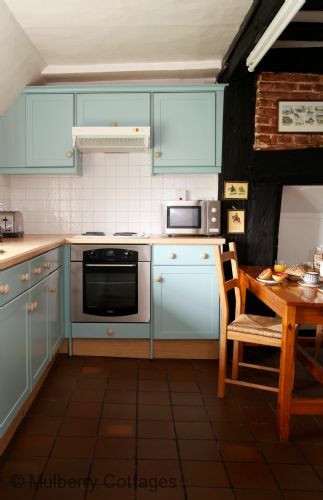 We are spending two more lovely weeks in our "second home" in Chilham. We are returning to this lovely place nearly once a year since 1995 and we'll be back that's for sure. A holiday without Chilham is possible but not worth it. 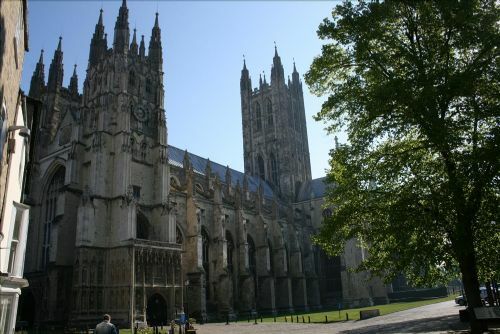 My first stay in England ever and what a great place to spend my holiday. 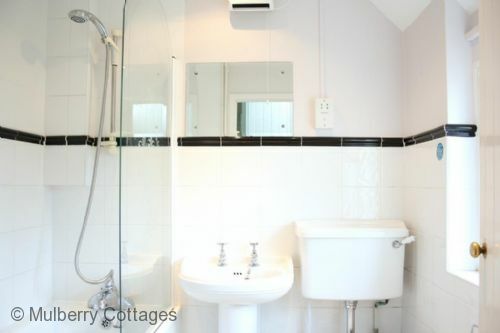 Beautiful surroundings, a lovely garden, a wonderful complete cottage with everything you can wish for. A lovely owner next door. My best holiday ever!! I'll come back next year. It was perfect. Don't change anything! Just come back from a wonderful two weeks at this cottage. Chilham is a delight, people very friendly. Helen, the owner, couldn't do enough for us. We will definitely go back. 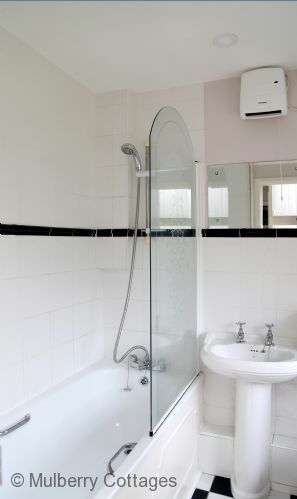 5/5 for comfort, cleanliness and value for money. Basket of logs for the open fire are provided for your arrival - please note you will need to purchase more for the duration of your stay. 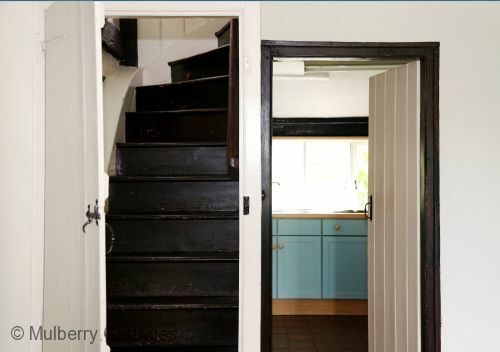 Due to the steep staircase, Mistletoe Cottage is not suitable for children under 7.